While walking around the New York Comic-Con I happened to come across two decent gentlemen over at the Fierce Comics booth. 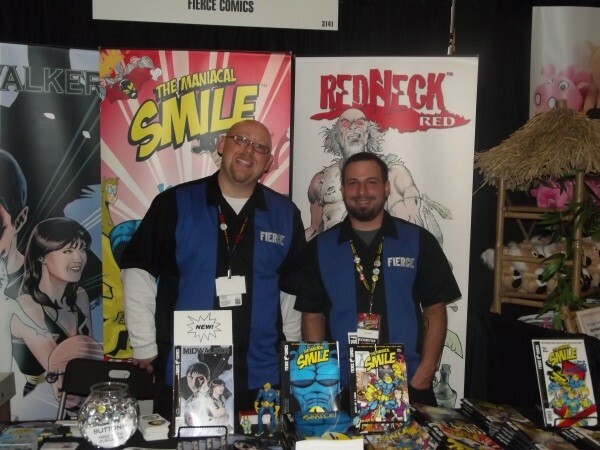 You may know Fierce Comics from either the Maniacal Smile or Redneck Red. After a few minutes with chatting with them I took a picture of the merry bunch and told them I’d send the image their way and I always keep to my word! Good luck at the Comic-Con guys!